With forwards by eminent American writers, this book is certain to twist your mind. If you lack the patience to read the front matter, scan forward to the preface. If you lack the patience to read the preface, scan forward to the narrative, which begins on page 205. This book is different from any other book you ever read. You have my word. 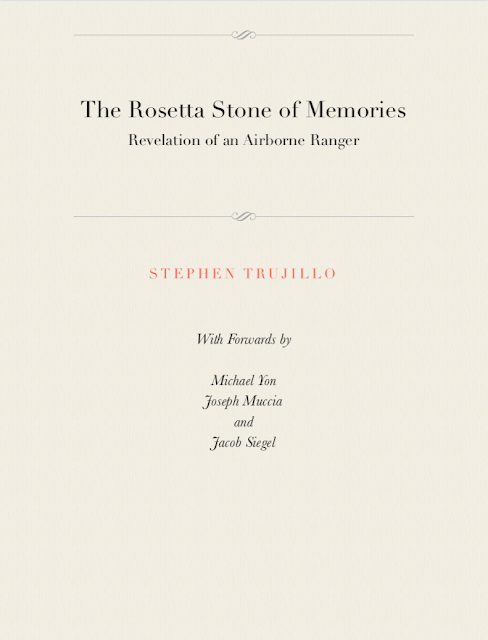 My second book, The Rosetta Stone of Memories, is now available on Apple iBooks, and only on that platform. It was published on the auspicious date of 11-11-2018, Veteran's Day: my birthday. This book is priced at $9.99. I pulled the title from Amazon, as their Kindle Direct Publishing (KDP) rendering engine cannot correctly parse the pages. I also pulled the print version from Amazon. I also pulled this title from GooglePlay. Not because they did anything wrong. The errors were mine alone. I also pulled it from GoogleBooks. Metamorphosis and Revelation are the two books that are included in The Rosetta Stone of Memories. Rather than selling Rosetta Stone as a monstrous book of 490 pages, I am publishing its contents separately as Metamorphosis and Revelation. It only makes sense. Rosetta Stone is an organizational mess. I made a bad decision and placed no fewer than 35 literary quotations at the front of the book. In Revelation, those quotes are now at the rear of the book, where readers can consult them or ignore them at their whim. Readers will no longer have to scroll past them before they get to the actual book content. I appreciate every single one of you, my cherished readers! Thank you for reading my work! You can find my books on Apple iBooks: A Tale of the Grenada Raiders is $14.99. Here is the link to A Tale of the Grenada Raiders, Metamorphosis, and Revelation, on GooglePlay. They are all priced at $9.99. Here is A Tale of the Grenada Raiders in softcover from Amazon at $64.99. Here is A Tale of the Grenada Raiders as a Kindle eBook at $14.99.